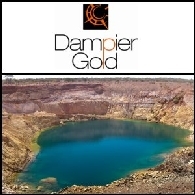 Asian Activities Report for April 19, 2011 includes: Dampier Gold Limited (ASX:DAU) reported 529,000 ounces of gold resource for the K1 and K2-K3 deposits at Plutonic Dome project; Ashburton Minerals Limited (ASX:ATN) confirmed high grade potential at Obi Gold Project; Scandinavian Resources Limited (ASX:SCR) is targeting a number of 50-100Mt iron deposits within the world-class Kiruna Iron district in northern Sweden; Straits Metals Limited (ASX:SRQ) reported activities for the quarter ended 31 March 2011. 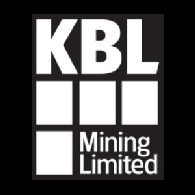 Kimberley Metals Ltd (ASX:KBL) is pleased to announce the appointment of Michael Hanlon to the position of General Manager for the Mineral Hill Mine near Condobolin, in central western New South Wales. 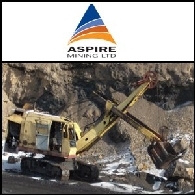 Mr Hanlon will assume responsibility for all mine operations and process plant refurbishment work as of 21 February 2010. 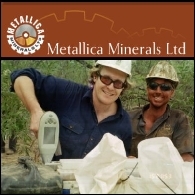 Metallica Minerals Ltd (ASX:MLM) is pleased to announce that the Company is planning to move to fulltime technical and metallurgical development of its 100%-owned NORNICO cobalt, nickel and scandium project northwest of Townsville in North Queensland. 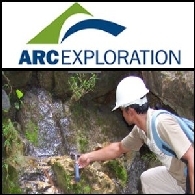 Metallica Minerals Limited (ASX:MLM) is pleased to announce the completion of its first formal JORC resource estimates for the Greenvale and Lucknow nickel-cobalt laterite deposits within the southern portion of the Company&apos;s wholly-owned NORNICO nickel-cobalt & scandium project northwest of Townsville in North Queensland. 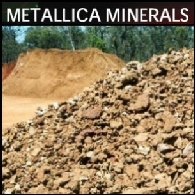 Metallica Minerals Limited (ASX:MLM) is pleased to announce that a maiden resource estimate has been completed for the scandium (Sc) mineralisation at the Lucknow Scandium Laterite deposit within the NORNICO nickel-cobalt-scandium project in North Queensland. New follow-up drilling completed this month has confirmed continuous scandium mineralised zones including high grade intersections, in two target areas of Metallica Minerals Limited&apos;s (ASX:MLM) Lucknow nickel-cobalt and scandium project near Greenvale within the southern area of the Company&apos;s flagship NORNICO project northwest of Townsville in Queensland. A significant "bonus" discovery of high grade scandium mineralisation has been announced by Metallica Minerals Limited (ASX:MLM) following completion of the successful first phase drilling program to expand the Company&apos;s Queensland nickel-cobalt project. 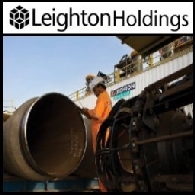 The Greenvale and Lucknow tenements were purchased from Straits Resources Ltd (ASX:SRL) and Resource Mining Corporation (ASX:RMI) in December 2009 for a total consideration of A$650,000 cash (which was paid immediately), and 3.33 million Metallica Minerals Limited (ASX:MLM) ordinary shares (escrowed until 16 June 2010) at a deemed price of A$0.30 per share (refer to ASX release dated 21 December 2009) to be issued upon completion of the tenement transfer. 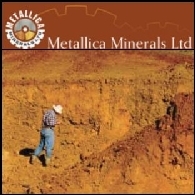 Metallica Minerals Ltd (ASX:MLM) is pleased to announce that an updated independent resource estimate has been completed for the Kokomo Nickel - Cobalt - Scandium Laterite deposit, which is located 40 km north of the Township of Greenvale in North Queensland. Overnight Wall Street fell following a massive sell-off in Chinese shares, which plunged 6.7 per cent on Monday. 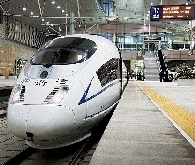 The Shanghai Composite index has lost more than 20% of its value in one month. Asian stocks markets broadly opened higher on Monday on hope of the US government&apos;s plan to remove toxic assets from the troubled financial firms. Most major indices in Asia posted strong openings and surged more than 1% in early trading.